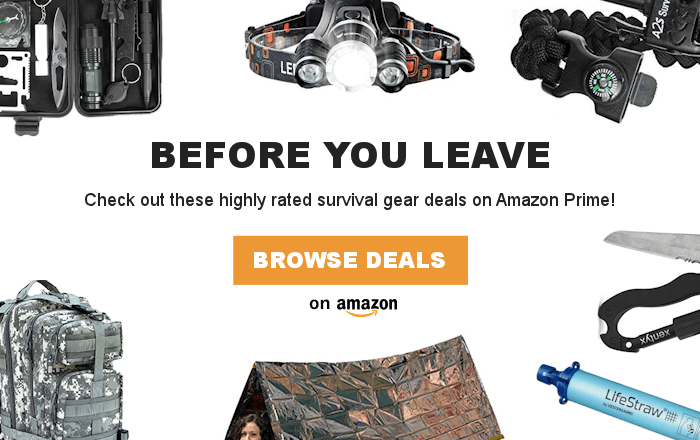 ★ INCLUDES 1 OXYGEN PUMP + 2 AIRLOCK LIDS + 2 SAUER STONE GLASS WEIGHTS – FITS ANY SIZE OF WIDE MOUTH MASON JAR, Including Ball, Kerr and Bernardin. ★ FERMENT UP TO 2 JARS OF PROBIOTIC-RICH VEGETABLES – Ferment any type of vegetable in wide mouth Mason jars, including SAUERKRAUT, KIMCHI, PICKLES, CARROTS & MORE. ★ 100% OXYGEN-FREE FERMENTING – The Simply Sauer Oxygen Pump eliminates all mold-causing oxygen for the safest, healthiest and most delicious ferments. 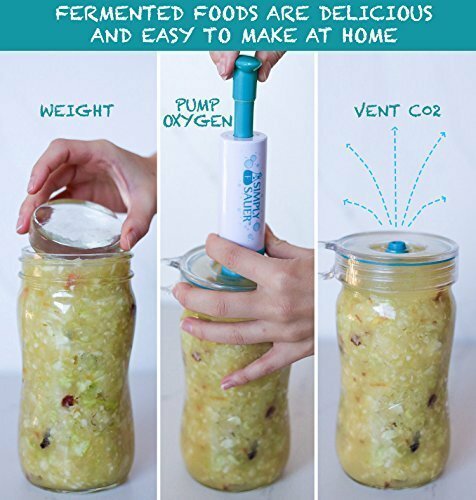 Ferment probiotic-rich vegetables at home in wide mouth Mason jars with the Fermentology Simply Sauer Fermentation Starter Kit. The kit includes 1x oxygen vacuum pump, 2x Mason jar glass fermentation weights, and 2x Mason jar fermentation airlock lids. 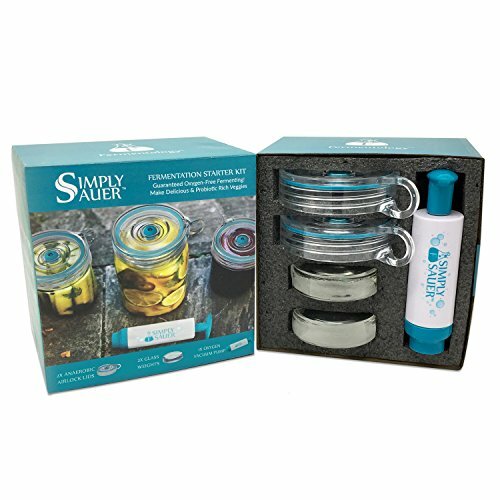 The Fermentology Simply Sauer Fermentation Starter Lid is easy to use and ensures your ferments are completely oxygen-free, for the safest and most delicious results. Make probiotic-rich sauerkraut, kimchi, pickles, and any other type of fermented vegetable, right on your kitchen counter. ★ WEIGHT, PUMP, VENT – Weight vegetables below the brine to prevent mold, secure the airlock then PUMP out oxygen to further prevent mold. The airlock will VENT CO2 automatically. 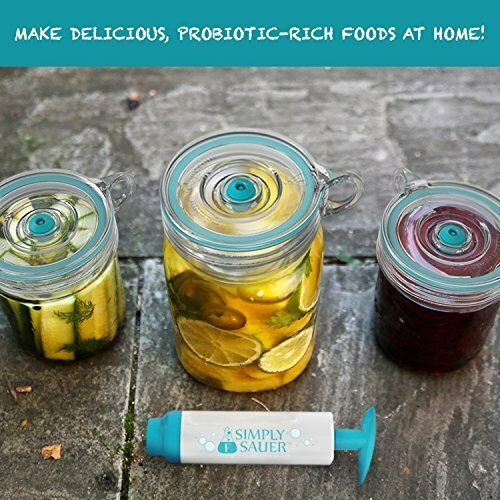 NO BURPING OR MAINTENANCE – Sauer System Airlock Lids automatically vent fermenting gas-no daily burping or maintenance is required and your jars will never explode!